FootJams: Should I Buy Cross Trainers or Athletic Shoes Designed for a Specific Sport? 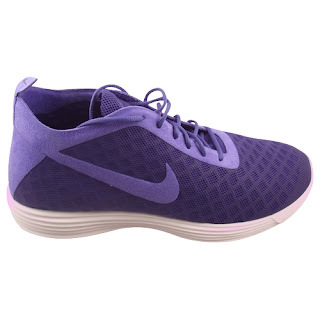 Should I Buy Cross Trainers or Athletic Shoes Designed for a Specific Sport? There are so many choices when it comes to athletic shoes these days, it can be overwhelming to even know how to start your search for the perfect shoes. An easy place to start is to determine if you need all purpose, general trainers (called cross trainers) or a shoe made for a specific sport. Cross Trainers may be the right choice for you if you participate regularly in varied workouts, such as different gym classes. They allow you to save money by buying only one set of shoes. The cushioning and stability on cross trainers meet the basic needs for most general sports activities. An example of a good cross training shoe is the Nike Lunar Rejuven 8. However, there are times when buying a specific sport shoe is recommended. If you are runner, you will definitely want to purchase shoes made for the activity. Cross trainers typically do not provide the flexibility and stability needed by someone who runs on a regular basis. A solid running shoe is the Nike Air Wildwood. Basketball is another case where shoes made for the sport are suggested. Basketball players need more cushioning for all the jumping and extra stability around the ankle area for all the quick turns and direction changes. Try the Nike Air 3 Le Basketball shoes. Cross trainers can be a great solution for the general athlete, but runners and basketball players should find a shoe made of the demands of their sport.